Things are rolling along nicely this off-season, and many of the demonstration products I need for my 2019 RV electricity articles, videos and seminars have already arrived. Some of these demonstrations I can set up and begin running right now to gather data, while others will need to wait for the spring thaw, but there are lots of new things for me to write about. As many of you are aware, I never write about things I don’t know, and I certainly won’t cut and paste marketing hype. When I say I don’t know enough yet, that’s exactly correct. If I don’t have a product in my hot little hands, all I can say is that a technology looks promising, but I can’t guarantee it will work. But once I do enough testing on a particular product, I can easily give it a Yea or Nay. With that being said, I hope you all realize that testing takes time; time to form a hypothesis on a particular subject, time to gather the gear from the manufacturers while often telling them I could destroy their demo gear in the process, time to develop a test procedure that gathers useful data, time to gather that empirical data, and time to crunch the numbers to see if they prove my initial hypothesis correct then send it out for peer review. So if it seems like months between when I announce the start of a project and when I have an informed opinion, it really does take that amount of time. But I really enjoy doing this, and it’s quite possible that I’m the only guy on the planet who isn’t part of some marketing group that’s performing this level of testing. And you should see some of the new test and training protocols I’m developing. It’s going to get really interesting by the summer of 2019. I’ll keep you all posted in the meantime. While many campgrounds seem to be doing the right thing and performing maintenance on their pedestals, some of them are waiting until something goes wrong to fix it or, worse, ignoring the problem. Let’s look at the example of Disney’s Fort Wilderness Campground I wrote about two weeks ago on RVtravel. Since I’m too far away for a quick day-trip, and Disney corporate won’t respond to my emails, I really don’t know if anything has been fixed. Or how about this pedestal on the right? While this picture didn’t come from a Stray Voltage Patrol member, it’s just one more terrifying example of how bad some campground wiring is. And no, this one isn’t about a lack of maintenance, or even wear and tear. It’s about really poor installation practices that I can’t believe ANY inspector would have passed. And yes, that’s a water pipe running right through the middle of the electrical box. Read more. I admit to being in love with diesel engines, especially after driving my Sprinter van more than 300,000 miles across the country many times. While the truck manufacturers seem to be primarily involved in a max horsepower and towing war, there’s a subculture popping up of much smaller pickup trucks with mid-size (and horsepower) diesel engines. Even though my Sprinter with a 5-cylinder engine only had 154 horsepower, those are diesel horses which are measured and pull much differently than their gasoline counterparts. I could load my Sprinter up to 9,000 lbs. and blast across the country, even climbing rather steep grades out west while maintaining 70+ mph and getting an honest 24 mpg. Pretty amazing. That’s why I think this latest offering from Ford, an F-150 pickup with a 3.0 liter V6 diesel rated with 250 horsepower, 440 lb-ft of torque and an 11,400 lb. towing capacity is really interesting, especially if you have to tow a small to mid-size recreational trailer. And with a 30 mpg highway fuel rating, this could be an affordable day driver as well. As promised, I’ve recently asked Ford to loan me a demo truck for the 2019 camping season, and if they come through with one, I’ll indeed drive it across the country towing a small RV trailer. But it’s slow going with these big companies, so I will have to update you all later. Wish me luck. In the meantime, read more about the latest 2018/19 F-150 diesel HERE at Road & Track. Would you be interested in a weekly or monthly newsletter reviewing emergency preparedness advice and tips, plus gear and supplies for your RV? Since dozens of you had to jump in your RVs and leave quickly from the California wildfires, and it seems like a major disaster is happening around the country every month or so (fires, hurricanes, floods, etc. ), Chuck Woodbury and I are considering creating a newsletter of some sort that would review emergency preparedness tips as well as gear and supplies needed if you had to evacuate your house quickly, leave in your RV with your family and pets, and perhaps “boondock” for a few weeks or months until you have other options. Well, this is interesting. 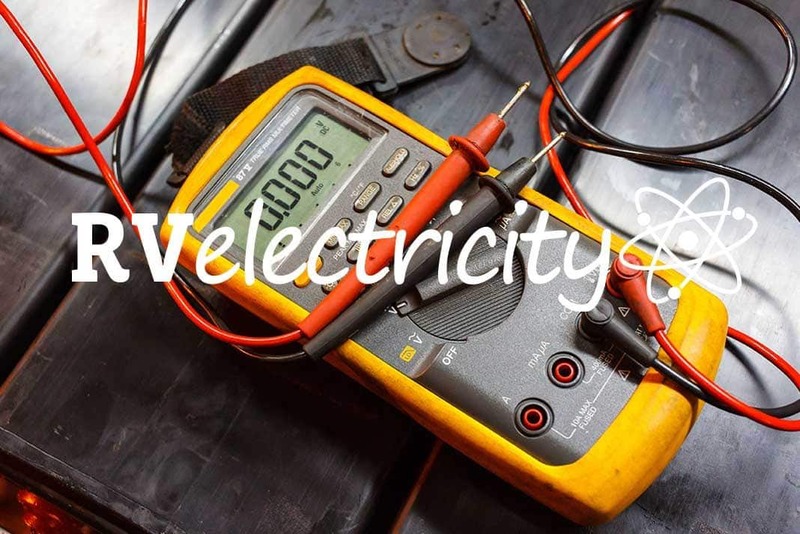 Last month I asked what topics you would like to see included in my 2019 RVelectricity seminars, and the top one is how to use electrical meters. That’s easily the most advanced topic on this list, and fully one third of you (33%) selected it. That was followed closely by electronic gadgets (24%), which is another topic that can be technically challenging to teach. What this means to me is that I can step it up a notch. While many of the other RV websites I frequent teach very basic topics (how to clean a black water tank, which is important but not very interesting to me, personally), you all want me to fire up my neurons and teach about meters and electronic gadgets. As the genie in Aladdin’s Lamp says, “Your wish is my command,” so that’s exactly what I’m going to do. 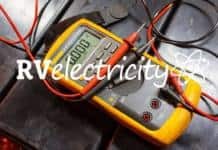 Look for more RVelectricity seminars from me on meters and electrical gadgets in 2019. I welcome the challenge! Watch for my upcoming 2019 RVelectricity tour schedule, which I’ll release next month. Chuck and I are still working on sponsorships (want to get involved, please email me at mike@rvtravel.com) so I can afford to do these seminars across the country. It’s slow going so far with not a single RV manufacturer (yet) willing to even pay for my gasoline and hotel rooms. I really want to teach, so please tell your RV industry friends that they should support my efforts. As I sit here there’s another cold front moving across the country and record snowfalls predicted. Last week it was the California wildfires and big rains coming with potential flooding. Next week it could be most anything. I think that everyone needs some sort of weather radio that can help warn you of these weather-related emergencies so you can protect yourself and your family. And if it will run from a solar panel and hand-crank generator, in addition to AA batteries, so much the better. I’ve asked Eton to send me their latest model for review, but it hasn’t arrived yet. However, I think that their current model on Amazon looks like a good choice. Much more on this later, so stay tuned. • Generator neutral bonding basics. • 30-amp to 50-amp generator connections. • Tired pedestals are dangerous. I spend a lot of time on dozens of other RV forums answering questions about electricity. Here is one really interesting topic that keeps on cropping up. Just how many amps can a 50-amp shore power outlet supply? Saw this page on the web describing a 50 AMP service. I have a problem with some of the wording saying that each leg is 50 amps at 120 volts. That has made some RVers think they can run 50 AMPS on each leg. I think the wording should be clearer that there are only 50 AMPS total available not 100 AMPs. Why portable space heaters are dangerous. Learn not to burn! 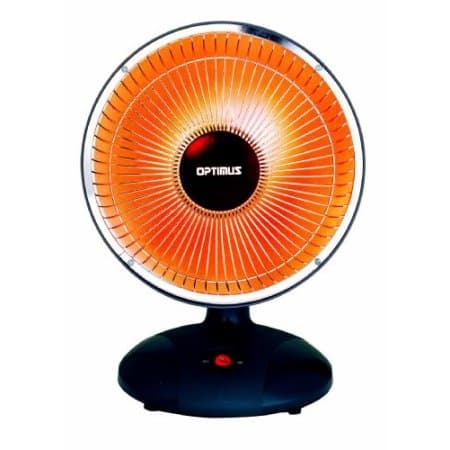 It’s that time of the year again when the cold weather causes you to get out your portable electric space heaters. However, there have already been a few deaths from home fires in my area due to improper extension cords being used to run space heaters. Please take the time to reread and review these important safety articles, and remember to NEVER leave a portable electric space heater running unattended. I’m an adjunct professor at a music conservatory that’s part of a large university. And I get a lot of intelligent students in my audio electronics class, since they’ve already had to pass a number of juries in music performance and theory before they make it to junior level and into my class. So this really is the crème de la crème of students. Since this is a practicum class (which means “hands-on”), I have my students build something as part of the class. In this case it needs to include soldering and basic assembly techniques. But instead of having each of my students build individual kits, we decided to pool our resources and build one BIG kit. In this case it was a small guitar amplifier (5 watts), that the class would donate to the school’s recording studio once we finished it. This would be perfect for recording, and since each of the students would have a hand in building it, I felt the emotional ownership would instill a sense of pride, something that’s sorely lacking in many students nowadays. Read more. Don’t even have an RV yet (but working on getting there) but as a remodeling contractor, this newsletter is totally fascinating to me and I just wanted to tell you that you are a great teacher and I love the dedication you have. The article about YWYD was the best. I forget how much I know after 35 years in the business and though my son wants no part of the trades, I know there is someone else out there that I can pass it on to. Thanks for the reminder and your caring attitude. Keep up the great work. Mike do you know if you can mix & match with generators? I mean can you parallel 2 different brands and outputs together? While in theory it might be possible, every generator manufacturer I’ve talked to about this says it might damage their generator and void any warranty. What brand and model generators were you considering running in parallel? I voted “no”on the emergency preparedness survey because I’m a full-time boondocker, so I have no house to flee in the event of a disaster, and boondocking is not something I would do for only a few weeks until I had other options! I cannot think of anything better than being out in the boonies 365 days every year! That’s the great thing about being a full-time boondocker. Wherever you go, there you are. Mike another question, in my 30 amp MotorHome do I have 2 legs of 30 amps. If so how can I determine what circuits each leg feeds? Claude, no there’s only one leg of 30-amp in a TT-30 outlet. So that’s 30 amps x 120 volts = 3,600 watts total. But the 50-amp NEMA 14-50 outlet works out to 50 amps x 2 legs x 120 volts = 12,000 watts. That’s why there’s such a big step up in available power (wattage) from a 50-amp shore power outlet compared to a 30-amp outlet. Power (wattage) is everything, as they say. Mike great work here. In my 30 amp MotorHome, is each plug in the kitchen area on it’s own circuit breaker, as it would be in my house? TKS!